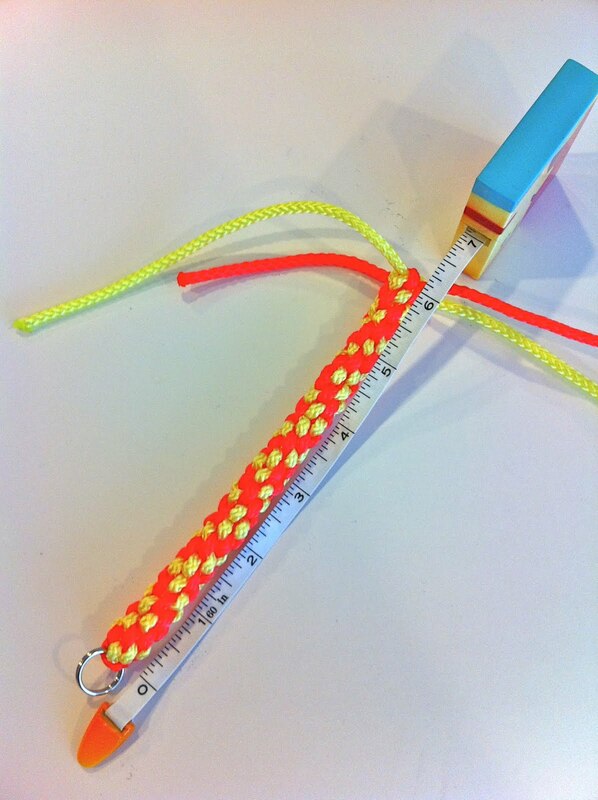 bright nylon rope + lanyard = perfect summer bracelets! Help me! 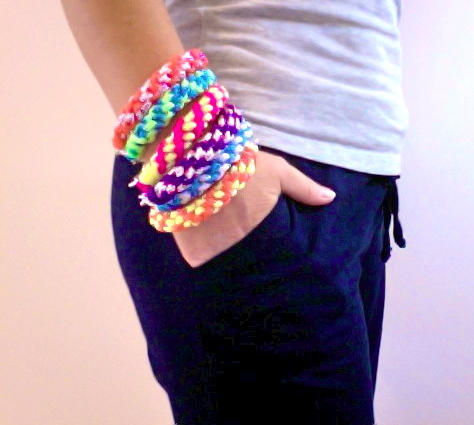 I can't stop making those fun summer bracelets! When I was making the Phillip Lim knockoff necklace, I stumbled on Jenni's post about these Brette Sandler arm candies..., and funny enough, I was starting to make some of those, only using nylon cords instead of gimp. Some circular, some in a chevron shape, mixing colors randomly. 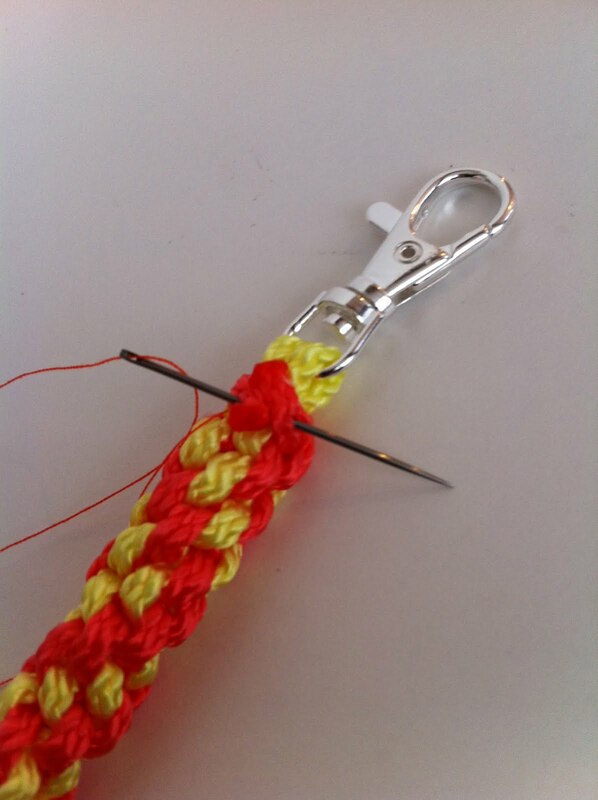 For more info on how-to-lanyard: go here! Taking the lanyard from summer camp to resort collection! Those are so perfect for summer that I might keep them on until the fall... I don't even care if they'll leave a tan mark on my wrists! i adore these bracelets! 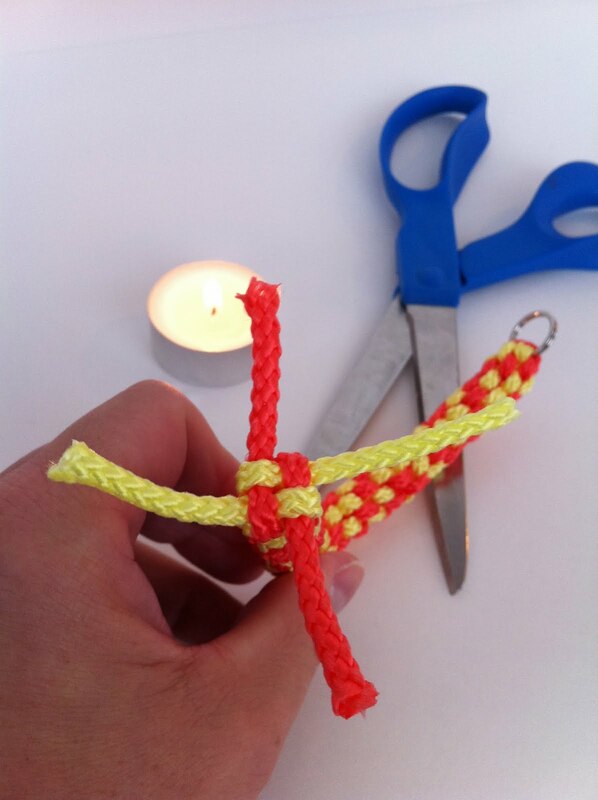 It looks fun and easy and you can make them to match any outfit! I just love these. I'm going to have to make some for my daughter so we can be rid of the Silly Bands. I find those things all over the place. Oooh, I'll bet these pop up at my linky party tonight! Love these. Love the lanyard knot. I just made a set of fat lanyard bracelets with dollar store laundry line. Wow! They look great. I'd love for you to link up at Inspire Me Mondays. It's up all week. This would be a great thing to send for the current Craft Hope Project. 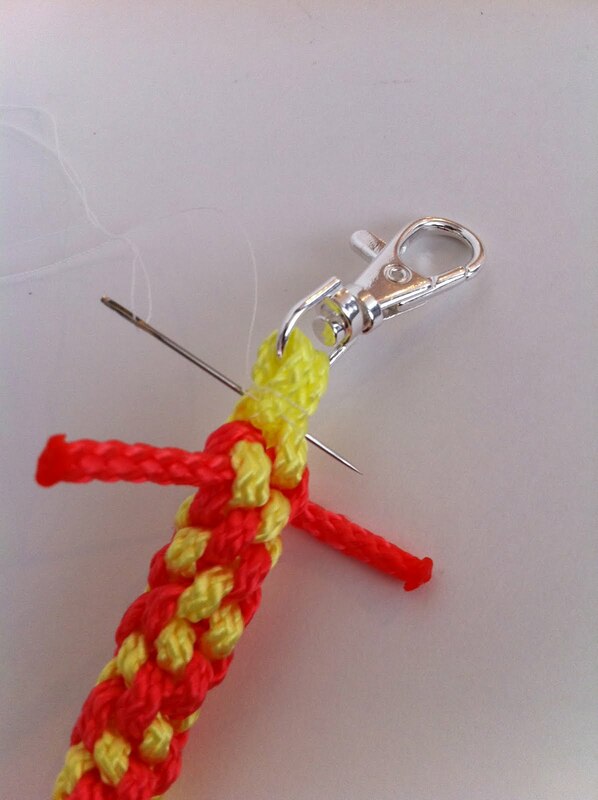 In fact, I've bookmarked this and will try to make some to send myself! I think my daughter just came home with one of these. A girl at her school is making a fortune selling them! I'm going to show her tonight. Thanks for the tutorial!! These look so much better than the ones we made at summer camp oh so many years ago! My DD is looking forward to making these. Thanks for sharing! These are so cool! Please stop by www.laughloveandcraft.com and link up to my Share the Wealth Wednesday Link Party! I'm your newest follower! all the video instructions detailed ! Love this! Would LOVE to see a red and turquoise one! I am loving your blog! you are so creative!